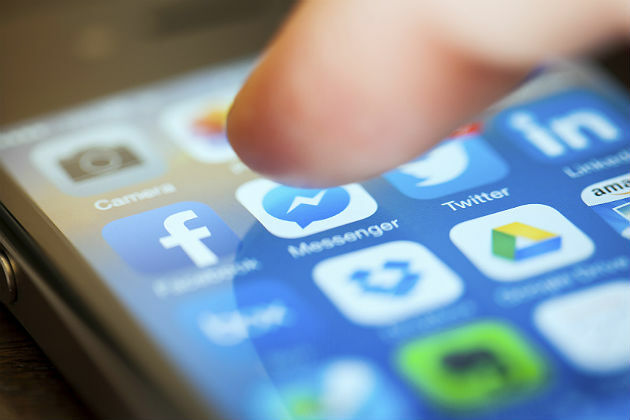 Did you know that Facebook Messenger has more than 1.2 billion active users? That means roughly 1 in every 3 people on the internet is on Messenger. Those users use the tool often. In April of this year, Facebook's head of Messenger, David Marcus, told TechCrunch, "We increased engagement massively in terms of number of messages sent per active user. We had double-digit growth percentage-wise." Now more than ever, Messenger is the place people go when they want to learn more about your brand or ask a few questions. Use Messenger better by implementing these four simple hacks that make a huge difference. A friendly message that's sent instantaneously lets your fans know you care and that you plan to respond as soon as you can. Luckily, this is easy to do. All you need to do is set up an auto-reply message. Click "Settings" at the top of your page, then "Messaging" on the left. Under "Response Assistant," turn "Send Instant Replies" on. There you can type a custom response that will be delivered to everyone who messages your page. When you visit your page, you see exactly how many minutes on average it takes you to respond to messages. But you can change the number the public sees! Again, click "Settings" at the top of your page, then "Messaging" on the left, and click "Response Time." You can choose to show your average time — or select a response time of anywhere from a few minutes to a few hours. Now, visitors will know how long it will take you to answer their message. Clear expectations are always better for everyone! People often expect 24/7 customer service on Facebook. If someone on your team isn't monitoring and responding to messages round the clock, let people know. You can set hours and days of the week when you are "away" and don't respond to messages. You probably have the hang of this by now. Click "Settings" at the top of your page, then "Messaging." Under "Response Assistant," turn "Stay Responsive" on. Then, choose "Schedule," "Time Zone" and "Add Time." Now, you can set the hours and days when you want to appear away. Be sure to craft and customize another reply here that lets people know when you will get back to them. As a bonus, any messages sent and not answered while you're away won't affect your average response time. Did you know you can accept food orders, book appointments or sell tickets through Facebook Messenger? If you already use tools like MyTime, Slice, HomeAdvisor or Ticketmaster, you just have to add the app. One more time, click "Settings" at the top of your page, then "Partner Apps and Services" and finally "Add Service." Then, people on your page will see a super prominent call-to-action button that will segue into a Facebook message. And even if you don't use one of those applications, you can still provide quotes, coordinate bookings and showcase products. Here's how to set that up manually.